Times are tough, credit is getting crunched faster than your breakfast cereal and the newspapers are full of more doom and gloom than an Orwellian novel – best then to collect your job seekers allowance and get yourself an affordable gaming PC to ride out the recession with! Joking aside, building a capable gaming PC really doesn’t have to cost the earth, and you can happily put together a remarkably capable brand new system for around the £400 mark with a little overclocking know how and the right components. However, this is the most competitive end of the market for manufacturers, and competition for sales is now even more furious than ever. Prices can fluctuate massively, especially with the added issue of the weakened pound and we’ve seen prices change by literally £20 inside of a month. While we’ve done our best to find competitive pricing for the components listed below, it’s always worth checking around the bigger e-tailers in search of a bargain and special offers. 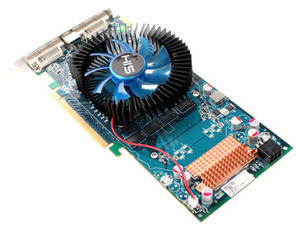 In the past we’ve recommended ATI’s Radeon HD 4850 in this position, but recently its price has become a little too high to stomach, especially as the mildly slower HD 4830 is now available for below £90 – an absolute bargain considering it’s faster in a lot of circumstances than even a heavily overclocked Nvidia GeForce 9800 GT and not too far off the performance of its bigger brother, the Radeon HD 4850. While it might not set the world alight performance wise, for those playing at the more common low end resolutions of 1,280 x 1,024 or even 1,680 x 1,050 should have no problem playing modern games with most of the graphical bells and whistles turned on, and it especially excels when anti-aliasing is enabled too, with just a 20 performance dip in performance when 4xAA is enabled at 1,680 x 1,050 in Call of Duty: World at War. However, it’s not the most future proof card on the block - in fact, there's not long before it's end of life so get in quick if you want one. That doesn't mean it's a bad product - far from it and we still rate it to keep your new games looking great until another graphics upgrade in twelve to eighteen months time. Nevertheless, for the price and performance, there’s simply no card out there right now that can match an HD 4830 in bang for buck. For a thirty percent saving in comparison to the 4850 you’re only dropping ten percent in performance, and it’s numbers like that which make the HD 4830 such a winner. While its on paper specs of just a stock speed of 2.5GHz, 2MB of cache and an 800MHz front side bus might seem limited, there’s nothing diminutive about the performance you can easily get out of this little budget dual-core wonder chip. Despite a gradual upward creep in prices following high demand and rubbish exchange rates, it’s still a good £20 cheaper than similarly clocked chips with 1,066MHz FSB and 3MB of cache, making it fantastic value. The real beauty of this 45nm Wolfdale CPU though is the low FSB and high 12.5x multiplier, making for a huge amount of overclocking headroom. Even a novice should be able to safely hit speeds of over 3GHz with this chip, and Rich managed to push the retail sample we received from Novatech to a whopping 4GHz using only basic air cooling – not bad for £55! Even if overclocking is as foreign to you as a razor is to Joe, at stock speeds the E5200 is still more than capable of tackling modern games while remaining very cool and consuming very little power. Simply put it’s an absolute little stormer of a processor and, for the price to performance ratio, there's very little out there which can touch Intel's Pentium Dual-Core E5200 at the moment. Unfortunately Gigabyte is no longer sending stock of the EP31-DS3L to the USA, but the slightly more expensive Gigabyte EP43-DS3L is a worthy stand in. Based on the newer P43 chipset design and boasting a superior ICH9 Southbridge and six SATA ports, it's a little bit better featured than the P31 with ICH7, although it still lacks CrossFire or SLI support needed for multi-GPU configurations with its single PCI-E x16 slot. However, on a budget we always recommend a better single GPU over two mediocre ones. Nevertheless, the board layout is still very good and the quality of the BIOS remains high, making overclocking intuitive and simple, although it does lack the ability to save BIOS setting profiles. We've spec'd the EP43-UD3L for our US friends because the DS3L is more expensive and harder to find in the States, yet, the UD3L is actually slightly newer with a better spec. as well - you lucky devils! 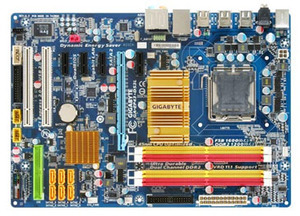 While it’s worth mentioning that for just $10 more you can get yourself a Gigabyte EP45-DS3L based on the enthusiasts' favourite P45 chipset, for the purposes of our budget and overclocking our E5200, the EP43 is more than sufficient and has better features than the previous P31 board.